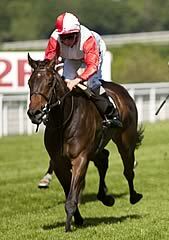 The Gold Cheongsam may have been the only filly to line-up in the 21-runner Weatherbys Insurance £300,000 2-Y-O Stakes but the Red Clubs filly saw off all comers to register a gutsy neck success in the hands of Franny Norton and gain the lucrative first prize of £162,306. Returned the 11/4 favourite, The Gold Cheongsam (who is named after a traditional type of oriental dress) has now won three of her five starts. Winning trainer Jeremy Noseda is currently at the Keeneland Sales in America but winning owner, Singapore-based Arashan Ali, was present and he said: “All credit must go to Jeremy Noseda and his team - they are the ones who make it all possible. We just come along and enjoy the racing. “I have had some good horses in the past. The best was probably Rich Vein, who unfortunately got injured while I had Richest Vein and Fiveoclock Express. This filly could be the best. Franny Norton added: “I wanted this race so badly today because of all the news we have had about the Hillsborough disaster. That was for them today, that was for the 96. I would just like to dedicate that victory to them. “They were coming at me in the end, I could feel them, and I was just praying and shouting for that line. Anyway the line came and class prevailed. Tate was referring in the last instance to the conditions of the race, in which the weights carried are determined by the median price achieved by each horse’s sire at the yearling sales. Hajam, homebred by his owners Rabbah Bloodstock, is by Exceed And Excel, and carried 15lb more than the winner The Gold Cheongsam, by Red Clubs.